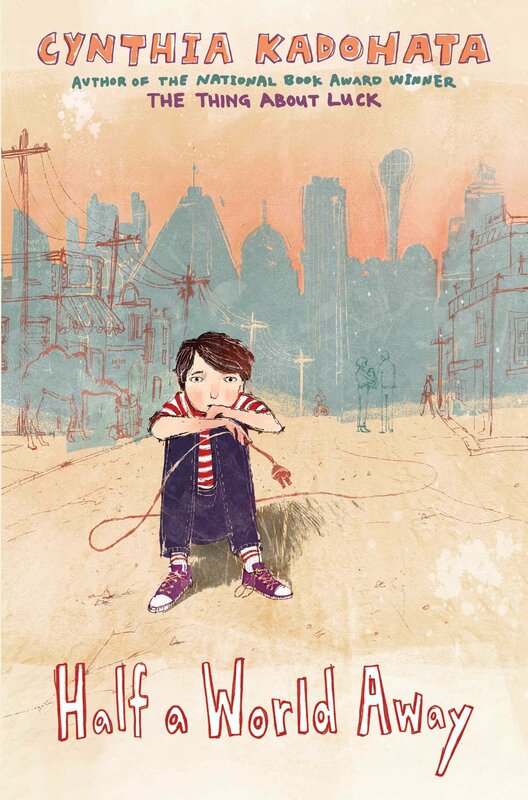 I enjoy MG books where there is a definite arc in the growth and change for a character. HALF A WORLD AWAY not only has that, but you will most likely find a change in yourself. Jaden is not a very likeable protagonist and I didn’t take to him right from the start. Thankfully by the end of the story I understood and appreciated this young boy. Adopted from Romania at age 8, Jaden has never felt connected to his new family. He’s still confused why his birth mother gave him up in the first place. Most of the story is set in Russia where Jaden and his parents go to adopt a new baby boy – a brother Jaden does not want. It’s here the transformation begins and a different side of Jaden cracks through. Told in close third person from Jaden’s view, the story is sad, hopeful, but in the end one you won’t soon forget. FULL PLOT (From Amazon): Twelve-year-old Jaden is adopted, and he knows he’s an “epic fail.’ That’s why his family is traveling to Kazakhstan to adopt a new baby—to replace him, he’s sure. And he gets it. He is incapable of stopping his stealing, hoarding, lighting fires, aggressive running, and obsession with electricity. He knows his parents love him, but he feels…nothing. But when they get to Kazakhstan, it turns out the infant they’ve travelled for has already been adopted, and literally within minutes are faced with having to choose from six other babies. While his parents agonize, Jaden is more interested in the toddlers. One, a little guy named Dimash, spies Jaden and barrels over to him every time he sees him. Jaden finds himself increasingly intrigued by and worried about Dimash. Already three years old and barely able to speak, Dimash will soon age out of the orphanage, and then his life will be as hopeless as Jaden feels now. For the first time in his life, Jaden actually feels something that isn’t pure blinding fury, and there’s no way to control it, or its power. I was only partially aware of the potential horror stories that can come about with an overseas adoption. The author spares no detail but perhaps young readers will need some clarification. I can see this working wonders as a read-aloud giving a chance for discussion of this emotional topic. Jaden falls in love for the first time. No, not from a first youthful crush, but by bonding with a 3-year-old toddler nobody wants to adopt. Sam, the Turkish driver, is the first person to rattle Jaden’s perceptions of his life. He’s a perfect older friend who goes out of his way to help Jaden. Parents who love unconditionally are often absent from MG books. Not so here as Penni and Steve do their best to help Jaden become the greatest person possible. The book is like a gray, rainy day, but then the sun reappears and you smile. That’s exactly what I did after reading this beautiful story. FAVORITE LINES: He figured he knew why they were adopting again: They weren’t satisfied with him. Whenever he thought that, he felt tears welling up. He didn’t know if he was upset for himself, because they weren’t satisfied with him, or for the baby, because if the baby was up for adoption, it meant the mother had abandoned him, and Jaden knew what that was like. 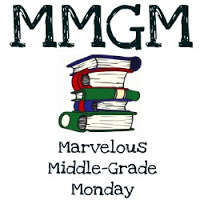 This entry was posted in Reviews and tagged Cynthia Kadohata, Half a World Away, Marvelous Middle Grade Monday, MG book reviews, Middle grade. Bookmark the permalink. Sounds like a fantastic story. Being an adoptive mom, I love these kind of stories. This one really sounds like a great find. “The book is like a gray, rainy day, but then the sun reappears and you smile. That’s exactly what I did after reading this beautiful story” What a great description and good recommendation for why I’d want to read this book. Goes right on my TBR pile! Based on your review, I really want to read this book. So many parents with adopted children from other countries deal with detachment and abandonment issues. We adopted a son from India 30 yrs ago. We didn’t have the extremes that other families did and our son is very successful today. It is so hard for the children and families and important to be involved in a support community. I’m happy that the sun appears for Jaden and he can heal. This sounds really great. I’m putting it on my TBR list. Hope I can get to it soon. Thanks for the review. I’m definitely in on this one! I love anything having to do with Russian/Eastern Europe, but it’s this boy’s character arc that drew me in. Thanks for bringing this to my attention. Sounds interesting. I like your 5 things you liked about the book. Glad the ending brought a smile. Greg, I read this one and like you, I didn’t like the MC at first, but he won me over. This story evokes a lot of emotion while you’re reading it.